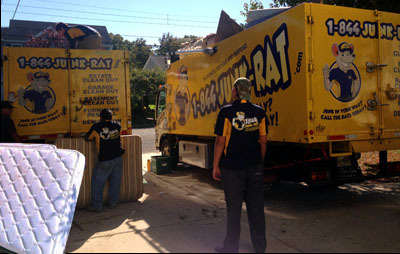 Junk removal, Rubbish Removal, Debris removal in New Jersey. All types of Garage Clean out in New Jersey: Estate Clean out, Basement, Storage Unit Clean out, Attic Clean out and Yard Waste clean out. Helping the environment in New Jersey: Computer Recycling, Printer Recycling, Monitor Recycling, Scrap Metal Recycling. Bulky Items Removal Services in New Jersey: Deck Removal, Shed Removal, Carpet Removal, Hot Tub Removal, Fence Removal, Wall Removal, Above Ground Pools removal, Debris Removal. Click here to view the complete list of What We Take in New Jersey. Are you moving or getting new mattresses for your home? If so, you’ll almost certainly want to have your old ones removed. Being that mattresses are difficult to move, hire the best mattress removal service in New Jersey – Maximum Cleaning. Whether it’s one mattress or a house full, Maximum Cleaning is the answer to your problem. From single to California king, we can remove your mattresses in New Jersey no matter what size they are. We have 20+ years experience in junk removal, so no one will get the job done quicker than Maximum Cleaning. We have highly-trained and experienced crews so rest assured your mattress will be removed the same day (availability permitting). Maximum Cleaning offers the lowest prices for mattress removal in New Jersey. Our prices are all-inclusive – so no matter how long the job takes, you only pay for the amount of space your item or items take up in one of our dump-body style trucks. Most of our competitors charge an hourly rate, plus disposal fees so don’t get stuck paying hidden fees! For questions or to schedule an appointment for mattress removal in New Jersey, call Maximum Cleaning at 1-844-586-5728. Maximum Cleaning is a local junk removal service in New Jersey that focuses on delivering the highest quality services at low-cost pricing. For Thorough Garage Clean Out in New Jersey, Call Maximum Cleaning. Small garage? No problem. Huge garage? Piece of cake. Regardless of the type of garage you have in New Jersey, Maximum Cleaning can handle it! Maximum Cleaning offers the lowest rates for garage clean out in New Jersey. Our fees are all-inclusive; meaning all you pay for is the amount of space your items take up in one of our trucks – no labor, no hidden disposal fees! The reason our crews are best at what they do is because they undergo intensive training, learning all aspects of thorough residential cleanouts and quality customer service. If you have any questions or would like to book a garage clean out in New Jersey, you can reach Maximum Cleaning at 1-844-586-5728. You can also book online and receive $20 off! For fast and friendly local junk removal service in New Jersey choose Maximum Cleaning – the company that’s been trusted for 20+ years! 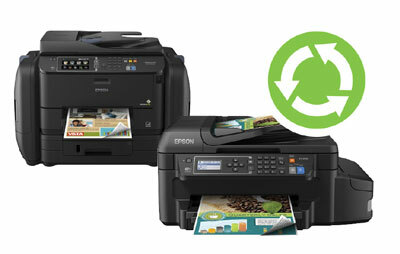 Whether you have one or multiple units, we can take care of your printer recycling needs in New Jersey. You don’t have to lift a finger – our highly-trained crews will do everything for you. Estate cleanouts are never easy to deal with. Aside from the sheer physicality required to move years worth of belongings, there is also the mental aspect. Often you’re disposing of items that represent years worth of memories. In any case, an estate cleanout is a difficult task so if you’re looking for the most reliable and considerate estate cleanout company in New Jersey, then you’re looking for Maximum Cleaning. Recognized as the biggest local junk removal company, Maximum Cleaning can also help with your estate cleanout needs in New Jersey. We have the finest crews around – they’ve been through intensive training in order to provide you with excellent, compassionate service. Our prices for estate cleanouts in New Jersey are the lowest around. Our rates are all-inclusive – you never have to pay additional fees for labor or disposal. Best of all, there is no preparation required on your part – we will clean, lift, and load everything onto one of our spacious trucks. To schedule an estate cleanout with Maximum Cleaning, call 1-844-586-5728. We provide free, no-obligation estimates in New Jersey. Maximum Cleaning is a local junk removal service in New Jersey that’s committed to providing excellence for the lowest prices to our valued clients. Geared with the latest in demolition equipment, Maximum Cleaning is a local junk removal company in New Jersey that can remove your above ground pool and haul away all the remains so you don’t have to. No matter the shape, size, or condition, Maximum Cleaning can handle any above ground pool removal in NJ. Best of all, you won’t have to do anything during the process – just lead us to your above ground pool and we’ll do the rest. Maximum Cleaning is a local junk removal company in New Jersey that’s committed to 100% customer satisfaction. According to recent studies, the average American household has a minimum of 3 televisions. In recent years, TV screens have gotten bigger while taking up less space by becoming thinner. In any case, they’re wonderful to have but become a major inconvenience when they stop working, especially the larger, older TVs. Similar to other electronics and technological devices, often times televisions are difficult to dispose of due to town, state, and federal regulations. Most towns in New Jersey have very strict rules regarding television disposal. So if you have one or more non-functioning TVs at your home or office in New Jersey, this is when you need our TV removal service at 1844-JUNK-RAT. No matter the size or quantity, we can help you address your TV removal needs in New Jersey. All you have to do is tell us what to remove and we will take it away in one of our 15-cubic yard trucks. You don’t even have to move a muscle! For questions or booking requests, call Maximum Cleaning at 1-844-586-5728. We offer free estimates in New Jersey! Maximum Cleaning is the largest, most trusted local junk removal service in New Jersey. Looking for a top-notch appliance removal service in New Jersey? Look no further than Maximum Cleaning. Since 1997, we are dedicated to providing fast, efficient, and cost-effective services. Regardless of size, shape, type, or quantity, we can remove any and all appliances from both residential and commercial properties in New Jersey. Maximum Cleaning employs the best crews whom are rigorously trained to do everything for our clients, from start to finish. There is no preparation required on your part – simply tell us what you want removed and we will get the job done. 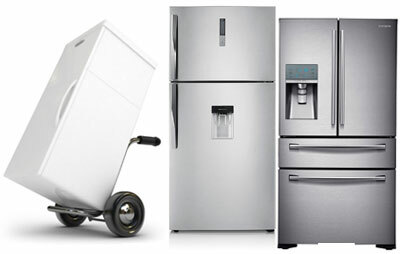 We’ll lift, move, load, and dispose of any appliance! The best thing about our appliance removal service in New Jersey is that we offer the lowest rates. In fact, our prices are 25% cheaper than our leading competitors. How are we able to offer such low prices? Simple. Our prices are based on the amount of space your appliances take up in our truck. 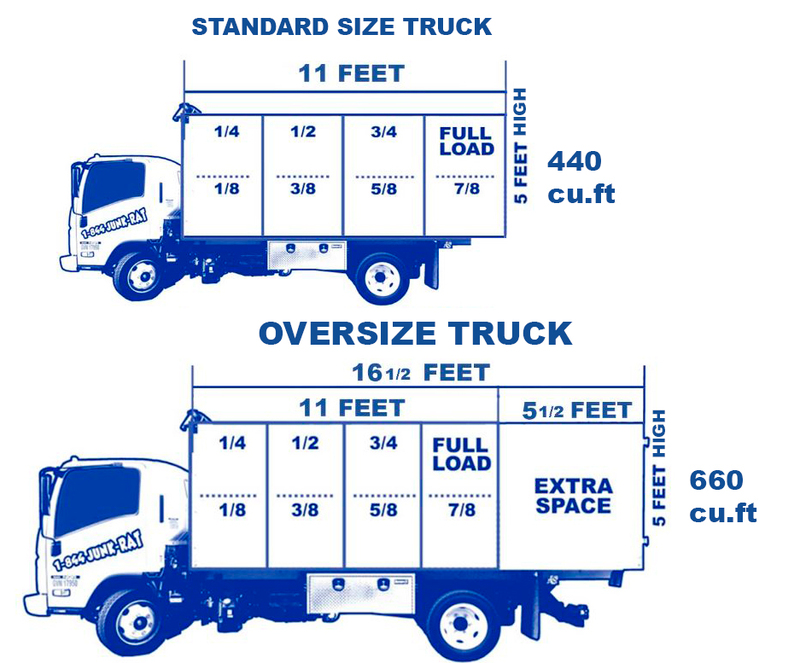 This means you don’t have to pay for the entire truck space or any additional fees such as labor and disposal. Don’t get stuck paying hidden fees! 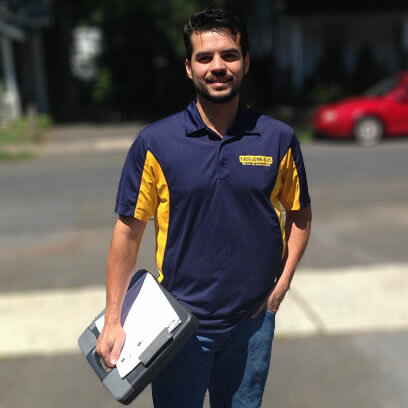 To schedule an appointment for appliance removal in New Jersey, simply call Maximum Cleaning or 1844-586-5728. Alternatively, you can book online and receive a $20 discount! The basement and attic – two areas of the home we most often neglect. It’s very common for them to become storage spaces for the rest of the house. Quite often homeowners begin storing overflow in their attics or basements and the next thing you know, there’s no space to move and they are completely packed. If you have found yourself in this situation, chances are you’re looking for a basement or attic cleanout service in New Jersey whom you can trust. The good news is Maximum Cleaning is here to help. Serving New Jersey since 1997, Maximum Cleaning can haul away any junk you have in your home or office. Whether it’s the attic or basement, our highly-trained crews will take away the stuff that you want to go, without asking you to lift a finger. That’s right, no preparation work or cleaning for you! Our rates for basement and attic cleanouts are the lowest around – you don’t have to pay for the entire space in our truck, only that which your items take up. That means one flat-fee, with no additional charges for labor or disposal. No matter how long the job takes, you only pay for the space in one of our trucks. Most other junk removal companies charge an hourly rate plus hauling and disposal fees. Don’t get stuck paying hidden fees! Providing the highest quality service for the lowest prices in New Jersey is what Maximum Cleaning is all about! Bicycles are great sources of entertainment and exercise for the entire family. However, once they are either outgrown, broken, or simply not utilized anymore, you’ll want to take back that valuable space in your home that they are monopolizing. If you’re seeking a quick bicycle removal in New Jersey, Maximum Cleaning is the only company to call. 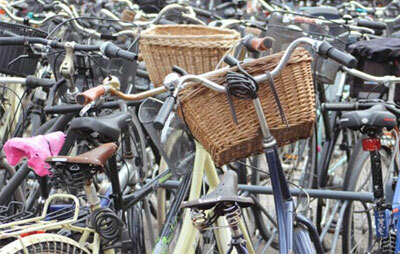 No matter the type, size, or quantity, we cater to all bicycle removal needs in New Jersey. Our team is comprised of friendly, highly-trained crews who will do all the work – lifting, loading, and disposal. That said, you don’t have to do any work no matter where they are stored! If getting the best service for the lowest price is your top priority, you’re in good hands with Maximum Cleaning. Our bicycle removal service in New Jersey is the cheapest around, as we ask you to pay only for the space your item or items take up in one of our trucks – there are no additional labor or disposal fees! Carpets are a nice design element for any home. Unfortunately, they don’t last forever and once they become worn, you’ll need to have them removed in order to replace them. In addition to removing them, disposing of them can be just as difficult as it’s not as simple as putting them out to the curb for trash collection in most cases. 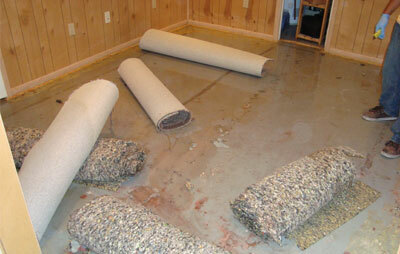 When you find yourself in this situation, getting the best carpet removal service in New Jersey is a must. When it comes to carpet removal, Maximum Cleaning delivers. Residential or commercial, wall-to-wall or area, Maximum Cleaning can handle all of your carpet removal needs in New Jersey. Choose Maximum Cleaning and there is no need to get your hands dirty – literally. Simply show our highly-trained crew which carpets you want removed and we’ll load them into one of our 15-cubic yard trucks. Maximum Cleaning is a local junk removal service in New Jersey that’s at your service no matter what your junk removal needs are. It’s 2018 – it’s almost a guaranteed certainty that you have at least one computer at home and multiple at your office. Despite advances in technology, computers still need to be replaced every few years, at the minimum. Disposing of computers can be tricky because of town, state, and federal regulations – many times they cannot simply be thrown away in the garbage. If you’re in need of a reliable computer recycling service in New Jersey, Maximum Cleaning has got your back. Whether you’re throwing away a few household desktops, laptops, and tablets or an office full of CPUs, our computer recycling service in New Jersey is all you need. We have spacious trucks, not to mention the best crews around doing everything for you, including lifting, loading, and disposal. 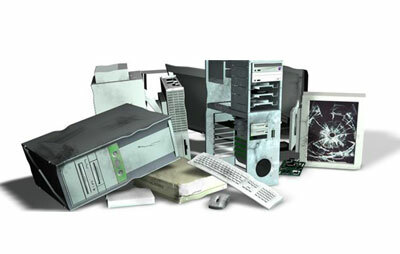 The best thing about Maximum Cleaning‘s computer recycling service in New Jersey is our low prices. As a matter of fact, our rates are 25% lower than our leading competitors. Our prices are all-inclusive, meaning that you only pay for the amount of space your item or items take up in one of our trucks – no additional charges for labor or disposal. At Maximum Cleaning, you can be confident that you’re in good hands with the #1 local junk removal service in New Jersey. Did you just finish a new construction or remodel and now you need to haul away the leftover materials? Whether you’re renovating your home or office, you’ll want an expert team to handle your construction debris removal job. Aside from having the best prices around, Maximum Cleaning offers fast and reliable service for your junk removal needs in New Jersey. Regardless of volume, we can handle any size construction debris removal in New Jersey. Our crews undergo intensive training in order to be able to provide 100% satisfaction. We do all the lifting, loading, and disposal – there is zero preparation necessary on your part. 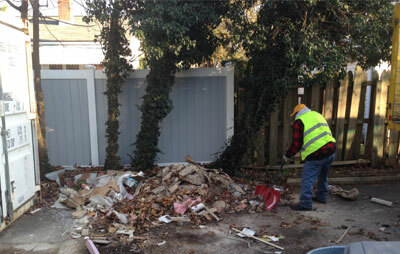 Maximum Cleaning is committed to providing low-cost construction debris removal in New Jersey. In fact, our rates are 25% lower than our leading competitors. We’re able to offer rock bottom prices because you only pay for the space your materials take up in one of our trucks. You don’t pay any additional fees for labor or disposal – just one flat rate! Maximum Cleaning, the biggest local junk removal service in New Jersey, is committed to providing quality service for the lowest rates. Decks are a nice feature for any home as they offer countless functional uses from outdoor dining space to casual relaxation spot. Unfortunately, there will come a time when they get damaged and dilapidated by the fluctuations in temperature and ever-changing weather. There is also the possibility that you will want to renovate or expand your home and will need to have your deck removed. If you find yourself in either of this situations, there’s only one company to call for deck removal in New Jersey – Maximum Cleaning. Recognized as the largest local junk removal company in New Jersey, Maximum Cleaning is your one-stop provider for all your junk disposal needs. 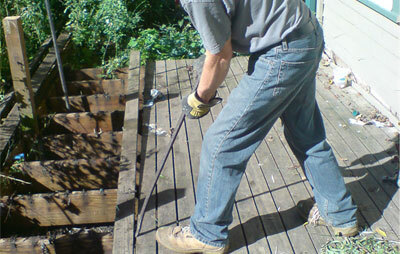 In addition to cleanouts of all types and demolition, we also specialize in deck removal. Maximum Cleaning is home to the most highly-trained and efficient crews in New Jersey. Aside from being professional and friendly, they provide only the best service a client deserves. Maximum Cleaning also has the best prices in New Jersey for all junk removal services. You only pay for the amount of space that your items take up in one of our trucks, which allows you to avoid paying for labor and disposal fees! By paying this all-inclusive, low-cost fee, you’ll receive completely customized service without any hidden fees! Maximum Cleaning is a local junk removal service in New Jersey that’s focused on providing the fastest and friendliest service for the lowest prices around. Serving New Jersey for 20+ years, Maximum Cleaning is a local junk removal company that’s dedicated to providing service that’s fast, friendly, and fits the budget. Our prices are currently the lowest in New Jersey, averaging about 25% lower than our leading competitors. Our fence removal service in New Jersey can be scheduled by calling 1844-586-5728 or visiting Maximum Cleaning. You can also book online and you’ll receive an instant $20 discount! No home is complete without furniture. It compliments your décor, while providing functionality at the same time. But as the old saying goes, “nothing lasts forever.” Whether due to wear and tear or simply a desire to renovate/redesign, you’ll need a furniture removal service to haul away your old items. If you are in New Jersey, there is only one name to trust – Maximum Cleaning. Regardless of size or shape, Maximum Cleaning can get rid of your old furniture in no time. As a top local junk removal company, we have extensive experience in hauling junk, having serviced New Jersey for 20+ years. 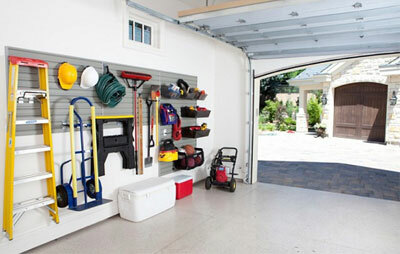 The garage is a unique and valuable part of any home as it offers a wide range of capabilities from storing vehicles to housing tools or recreational supplies. This versatility can not be overlooked, but there are occasionally circumstances when you simply need a garage demolition. If you’re looking for a fast garage demolition in New Jersey, look no further than Maximum Cleaning. When speedy service is what you’re looking for, you can always count on Maximum Cleaning. Regardless of size or condition, we can demolish just about any type of garage in New Jersey. If you choose Maximum Cleaning, you don’t have to do anything but sit back, relax, and watch one of our crews complete the job within the day. They are well-trained and experienced in garage demolition, so you’re in good hands. At Maximum Cleaning, we pride ourselves on offering rates significantly lower than that of our competitors in New Jersey. Typically, we are cheaper by 25%. This is due to our billing system, which allows you pay to only for the space your materials take up in one of our trucks – no hourly labor fees, no disposal fees, no hidden fees! Maximum Cleaning is a local junk removal company in New Jersey providing the highest quality service for the lowest prices. 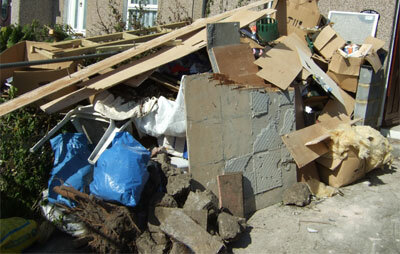 For one reason or another, you may find yourself in a situation where you need garbage removal. This can happen after remodeling or renovating your home or sometimes even after just cleaning out your garage – you’re in need of a garbage removal company because certain items will not be taken by your local waste management provider. If you live in New Jersey, you’re in luck as Maximum Cleaning can meet all of your garbage removal needs. Specializing in garbage removal in New Jersey, Maximum Cleaning offers low-cost junk removal services with top-notch speed and efficiency. Aside from fast availability, our all-inclusive fees allow you to relax while having your home or office cleaned professionally. You don’t have to move or lift anything – leave everything to us. As mentioned, our prices are the lowest in New Jersey. In fact, we offer rates that are guaranteed to be 25% lower than our leading competitors. This allows for fast, cheap garbage removal in New Jersey. Known as the largest local junk removal service in New Jersey, Maximum Cleaning aims for 100% client satisfaction and a cleaner, greener New Jersey. 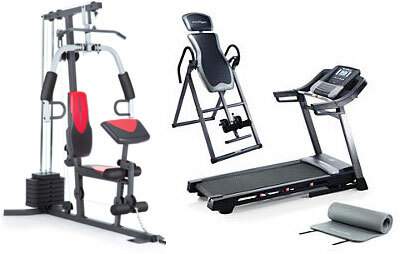 Our gym equipment removal service in New Jersey is offered at a lower price than our leading competitors. In fact, we’ll beat their prices by 25%! Maximum Cleaning is NJ’s #1 gym equipment removal company. Hot tubs are often a great addition to any home. They provide a spot for relaxation and can be quite therapeutic. However, once they are no longer functioning properly they can be extremely difficult to deal with. If you find yourself in this position, Maximum Cleaning has got you covered. 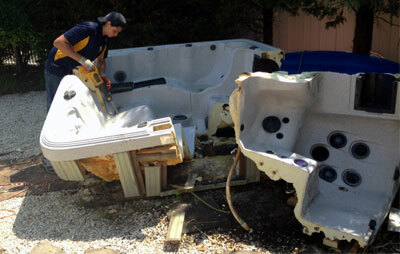 For the fastest, most affordable hot tub removal in New Jersey, Maximum Cleaning is the way to go. Whether freestanding or built-in, Maximum Cleaning can handle your hot tub removal needs in New Jersey. Our team of professional junk haulers can get the done job quickly, yet efficiently with no preparation work required on your part. With over 20 years of experience in junk removal, you are in good hands with Maximum Cleaning. 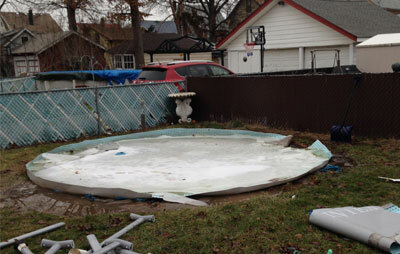 The best thing about our hot tub removal services in New Jersey is that we offer the lowest rates around. In fact, our prices are a whopping 25% lower than any of our major competitors. Maximum Cleaning is NJ’s #1 local junk removal company for a reason – hire us for any job and you’ll enjoy significant savings! Disposing of junk from the home or office is often a tedious task. Aside from being time consuming and physically challenging, it often contains bacteria which can potentially transfer to other parts of your location. Instead of taking a chance with your health or the health of your loved ones, hire a professional junk removal service. For junk removal in New Jersey, Maximum Cleaning is the only company to call! Let our team of professionals handle the job so you can be confident that your home or office is clean, junk-free, and germ-free. Maximum Cleaning is a local junk removal company that delivers outstanding service in New Jersey without the hefty price tag. You won’t find a better price for junk removal – our rates are 25% lower than our leading competitors. The reason our prices are so low is because we only charge you for the amount of space your junk takes up in one of our trucks – no hourly rates, no additional labor fees, and no disposal costs! Monitors are a necessity whether at home or at the office. You likely have several in your house and even more at work. But what do you do if they are broken? What if there are too many to dispose of all at once? Don’t worry – Maximum Cleaning can handle all your monitor recycling needs in New Jersey. 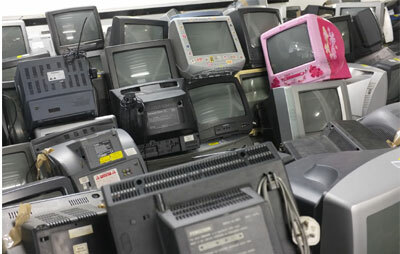 Regardless of size, type, or quantity, there is no monitor recycling job too big or small for Maximum Cleaning. As NJ’s top local junk removal company, we are committed to providing monitor recycling services in New Jersey that meet, if not exceed client expectations. Maximum Cleaning offers monitor recycling in New Jersey at its best. 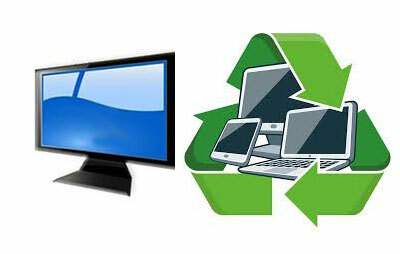 We have a dedicated recycling facility so rest assured, your monitors are in good hands. Once recycled, we will donate them to local charities so they won’t end up in landfills, ultimately harming the environment. Refrigerators are an absolute necessity in the home. Without them, storing food for extended periods of time wouldn’t be possible. Unfortunately, they eventually need to be replaced just like any other appliance. When that time comes, you’ll need someone who can haul away your old refrigerator in order to make room for the new one. But don’t worry, Maximum Cleaning has got you covered. When it comes to refrigerator removal in New Jersey, Maximum Cleaning can meet all your needs. No matter the size, type, or quantity, Maximum Cleaning can handle your refrigerator removal needs in New Jersey. Recognized as the area’s #1 local junk removal company, Maximum Cleaning provides professional and highly efficient crews. With over 20 years of experience in junk removal, you can trust us to handle any sized job. While we’re lifting, loading, and removing your junk, you can sit back and relax! Maximum Cleaning offers the lowest prices around for all of our removal, recycling, and cleanout jobs. In fact, our rates are 25% lower than that of our competitors. 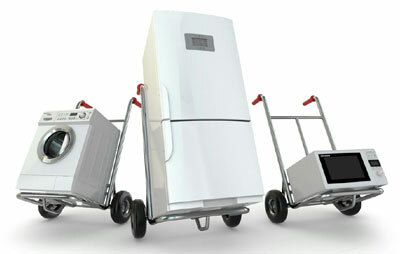 Nobody will provide better service at a better price for refrigerator removal in New Jersey! For reliable junk removal services in New Jersey, Maximum Cleaning is the only name to trust! Believe it or not, rubbish build up is a quite common problem. However, most of us lack the time or energy to deal with cleaning it up. If you have found yourself in this situation and want immediate rubbish removal in New Jersey, there’s only one name to call – Maximum Cleaning. Regardless of the job size, Maximum Cleaning can handle any rubbish removal in New Jersey. One of our highly-trained teams will do the entire job for you – including lifting, loading, and disposal. All you have to do is tell us what you want removed and we’ll handle the rest. When looking for a reliable local junk removal service in New Jersey, Maximum Cleaning is the only name to trust. 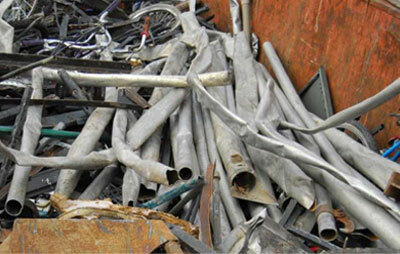 Scrap metal removal is a quite challenging task. The risk of getting injured is apparent, but it’s also difficult as not all metals are treated in the same manner. Luckily for you, there is a reliable provider of scrap metal removal in New Jersey that’s been trusted for over 20 years – Maximum Cleaning. Whether it’s brass, aluminum, lead, nickel, or tin, there isn’t a material that we cannot dispose of in New Jersey. Maximum Cleaning’s team of professional junk haulers are highly experienced and trained to handle the toughest jobs. We’ll handle your scrap metal removal from A to Z. Maximum Cleaning not only provides the highest quality service, but we also offer our scrap metal removal service in New Jersey for the lowest price you’ll find. In fact, our costs are 25% lower than that of our leading competitors. With Maximum Cleaning you are guaranteed to get the most bang for your buck! Maximum Cleaning is the #1 local junk removal service in New Jersey, focusing on delivering quality service at the lowest price. Sheds provide great additional storage space for any home. However, when they become old and weathered you will need to have it professionally removed. If you are searching for a good shed demolition service in New Jersey, Maximum Cleaning is the #1 option. 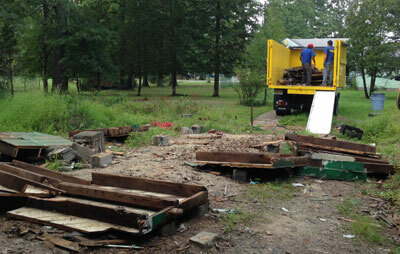 Our highly-trained crews can demolish any shed in New Jersey, regardless of size or shape. Outfitted with the latest demolition equipment, our team will get the job done fast and efficiently. The best part? 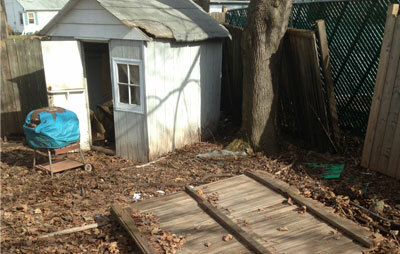 Our shed demolition rates in New Jersey are the lowest you’ll find. In fact, our prices are guaranteed to be 25% lower than our leading competitors. You won’t find a better deal for shed demolition than you will with Maximum Cleaning. Maximum Cleaning – offering cost-effective local junk removal in New Jersey for the past 20+ years! Sofas are an important part of any home. They are attractive, yet functional. However, they don’t last forever and when it comes time to replace them, you’ll likely need a professional team as they are often extremely difficult to move. For sofa removal in New Jersey, Maximum Cleaning is the only name to call. Regardless of your sofa’s size or shape, Maximum Cleaning can handle your sofa removal needs in New Jersey. We are armed with professional junk hauling crews, all of whom have great expertise and experience in this field. They are trained to eliminate your junk problems, without requiring you to move anything. Maximum Cleaning is a local junk removal company in New Jersey that’s focused on providing the highest quality services for the lowest prices. Your storage unit is your best friend when it comes to storing the items that matter the most. However, when it becomes too crowded with clutter you’ll want a reliable ally to help you with the clean up. If you’re looking for storage unit cleanout in New Jersey, Maximum Cleaning is the only way to go. 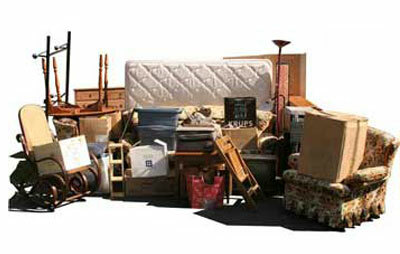 Maximum Cleaning is a local junk removal company that offers reliable storage unit clean out in New Jersey. Most importantly, we offer the lowest rates around. In fact, our prices are 25% lower than our leading competitors. Maximum Cleaning – your local junk removal service in New Jersey that’s affordable, fast, and thorough. Tires are an item that are particularly difficult to dispose of – that’s why you’ll often see them piled up in garages, storage units, or auto body shops. If you’re looking for professional tire removal in New Jersey, Maximum Cleaning is your go-to option. Hailed as the biggest local junk removal company, Maximum Cleaning offers the fastest and most reliable tire removal in New Jersey. We have professional crews to fulfill your junk removal needs, allowing you to focus on the things you want to do most. Our prices for tire removal in New Jersey are the lowest around. We’re committed to offering rates that are 25% lower than our competitors. 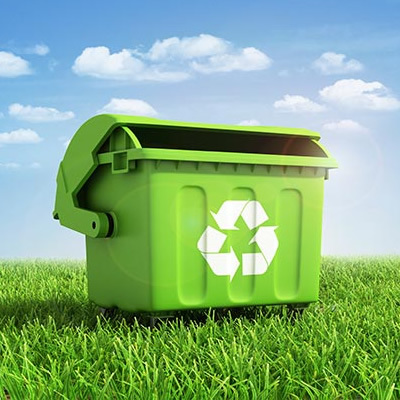 Additionally, Maximum Cleaning is committed to responsible junk disposal; we recycle any items we can to reduce environmental impact and landfill waste. When you’re looking for a reliable junk removal service in New Jersey, call Maximum Cleaning! 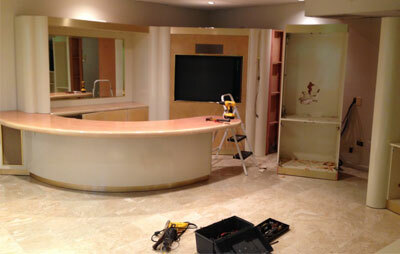 During home or office renovations, wall removal is usually required. But you can’t let just anyone handle the job. For professional wall removal in New Jersey, Maximum Cleaning can meet all your needs. 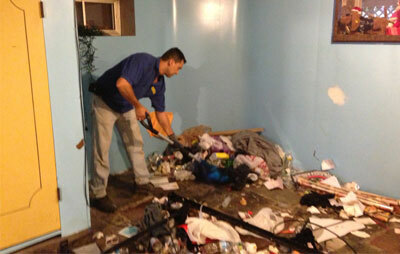 Serving New Jersey for over 20 years, Maximum Cleaning is the go to provider for wall removal. Thanks to our professional crews, you’ll receive quality service when it comes to removing junk for both residential and commercial properties. We do all the work for you – lifting, loading, and disposal – so you don’t have to lift a finger. Maximum Cleaning is the largest local junk removal service in New Jersey, providing fast, efficient, and cost-effective results. Your washer and dryer are undeniably some of the most important appliances to have at home. But as time passes, they get old and start to slowly dysfunction. This is when you’ll want a professional washer & dryer removal service. If you live in New Jersey, Maximum Cleaning is the only number to call! Maximum Cleaning is a local junk removal company that’s been trusted for 20+ years to deliver fast, thorough, and affordable service. We can handle any washer and dryer removal in New Jersey, regardless of size. You don’t have to lift or load anything – leave it up to us and it will be done the same day. Maximum Cleaning offers the lowest prices in New Jersey for washer & dryer removal. Our rates are guaranteed to be 25% lower than our local competitors. We offer the highest quality services for the lowest prices around! For affordable and reliable junk removal service in New Jersey, Maximum Cleaning is the company you can count on! Removing yard waste can be cumbersome, especially if you have a large area that needs to be cleared. We at Maximum Cleaning don’t want you feeling frustrated and stressed over junk. If you don’t have the time to handle it, leave it up to us and we’ll provide fast and affordable yard waste removal in New Jersey. Maximum Cleaning is the #1 local junk removal company. Our professional crews can typically get the job done the same day. We can handle even the toughest and biggest yard waste removal jobs in New Jersey. You don’t have to lift a finger – we’ll lift and load everything into one of our spacious, 15-cubic yard trucks. Maximum Cleaning offers the lowest priced yard waste removal in New Jersey. We guarantee our rates will be 25% cheaper than other local competitors. For junk removal services in New Jersey, Maximum Cleaning is the name you can rely on. 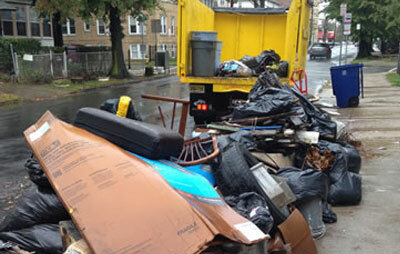 Whenever possible, we offer same day or next day trash removal in New Jersey. That was almost unbelievably easy and good! We called, they came over, and the driveway was suddenly clear of half the junk we were trying to get out of the garage. The guys cleared the rest, too! Thank you! 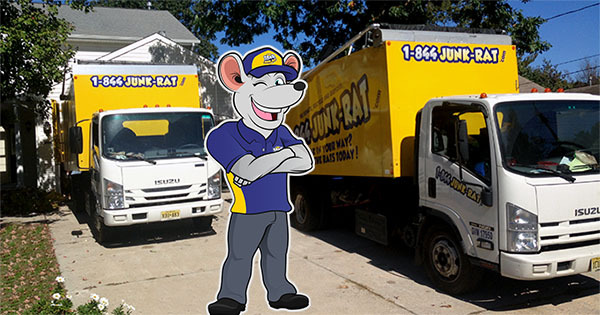 Call us today for a free estimate and same day Junk Removal in New Jersey!